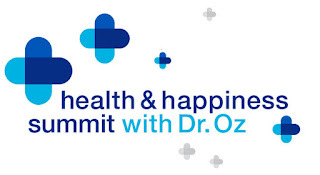 · USANA Health Sciences Inc.
"IMPORTANT: We love the excitement and enthusiasm regarding the Health and Happiness Summit event and the announcement that Dr. Oz will be speaking at the 2012 USANA International Convention. However, please remember our relationship with Dr. Oz is not an official partnership, he is not a member of USANA, and he has not endorsed specific USANA products. If you have used any of these statements or similar terminology on social media, it would help us out a great deal if you could correct your posts to reflect a more accurate assessment of what we are working on. This is important to all of us to ensure that we don't hurt our relationship moving forward. Regarding a quote that is floating around, while Dr. Oz did make that statement on a private Gold conference call, his representatives have asked that we not post it on social media. Please feel free to e-mail whatsupusana@usana.com if you have any questions. Thank you." After so many years of successful, award-winning Conventions, some companies might be tempted to rest on their laurels. There have been 19 years worth of inspirational, exciting, must-see shows, but the 2012 International Convention—USANA’s 20th—promises to top them all. Because this year we’re celebrating you! And we’re doing it by planning an awesome party and inviting an incredible slate of speakers to give you an event that’s been 20 years in the making. •Dr. Mehmet Oz—You’ve seen him on TV, and now’s your chance to see him live in Salt Lake City. He’s the host of the Daytime Emmy Award-winning Dr. Oz Show, a well-known cardiac surgeon, author of seven New York Times best sellers, one of Time magazine’s 100 Most Influential People in 2008, and Forbes’ No. 3 most influential celebrity in 2011. •Dr. Christiane Northrup—The world’s leading expert on women’s health and the author of two New York Times best sellers, this visionary pioneer will inform and inspire. •Darren Hardy—SUCCESS magazine’s publisher and editorial director is bringing his personal development expertise to the 2012 International Convention. •John C Maxwell—An internationally recognized leadership expert, speaker, coach, and author who has sold more than 20 million books, he will help you find the leader inside you. •Dr. Libby Weaver—See one of Australia’s leading nutrition specialists, weight-loss expert, and author of Accidentally Overweight: Solve Your Weight Loss Puzzle onstage in Salt Lake City. •Jason Ryan Dorsey—The “Gen Y Guy” is an author, generational expert, TV personality, and speaker who will enliven the EnergySolutions Arena with a shot of youthful enthusiasm and information. That’s an all-star roster of speakers worthy of a 20th anniversary celebration—and there are more big announcements to come! You and your business can’t afford to miss this historic event. So register now! Convention registration is open. You have until April 27 to take advantage of the special early bird pricing—only $229 for this incredible event. As an extra-special surprise, USANA is giving you the chance to save on your registration. If you attend any of the Cross-Regional Conferences (XRCs) or Asia-Pacific Convention, you’ll get an opportunity to register for the 2012 International Convention and save big. Register at one of those events and pay only $179—that’s $50 off the early bird price! Go to the brand new Convention website for more information on all the exciting things we have planned for this 20th anniversary celebration, and plan on celebrate with USANA in August! The issue of the value of vitamins and supplements for athletes can be confounding and confusing, to say the least. John Cuomo, Ph.D., the executive director of Research and Development at USANA Health Sciences addresses the most common questions on the subject. Dr. Oz Live in New York! On February 25, 2012, the Health and Happiness Summit with Dr. Oz will be taking over New York City’s venerable Radio City Music Hall. 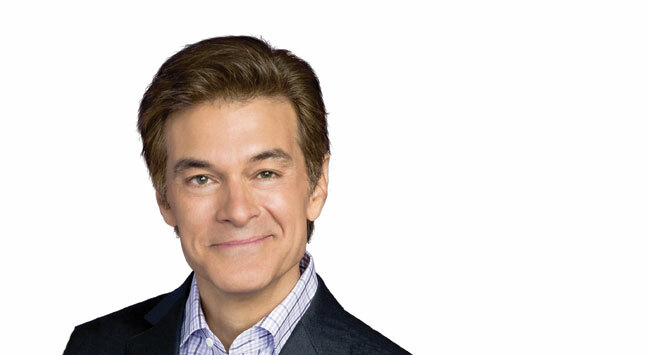 An amazing collection of best-selling authors, TV personalities, and health experts are joining television’s Dr. Mehmet Oz for an afternoon focused on health and happiness. 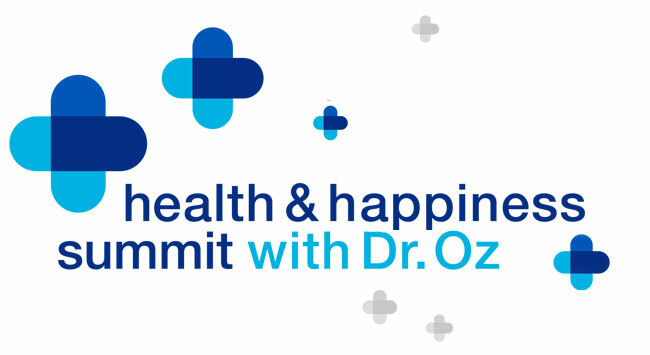 This amazing slate of speakers promises to make the Health and Happiness Summit a blockbuster, once-in-a-lifetime event. With so many leading health experts, it’s a must-see for anyone interested in the pursuit of true health. Tickets will be available soon through the Health and Happiness Summit website. Start making your plans now to join Dr. Wentz, Dave Wentz, Dr. Oz, and an all-star roster of health experts in New York City! USANA Voted #1 Again - For the 12th Straight Year! The Elite Bonus is exactly what it sounds like—a reward for being the very best of the very best. 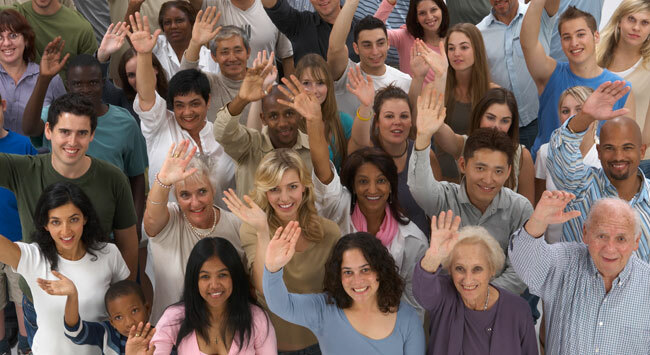 Now the chances you’ll find your name among those USANA elites have increased. 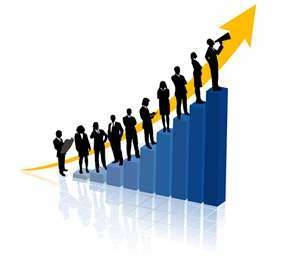 The number of Associates who will qualify for Elite Bonus has grown from 30 to 35. That means 35 very deserving leaders will earn a piece of the USANA global pie. Quarterly, those 35 qualified Associates will earn a share of one percent of USANA’s total Sales Volume Points earned, which usually comes in the neighborhood of around three-quarters of a million dollars. USANA continues to grow and succeed. We firmly believe it’s imperative to share the rewards that accompany success with the people that work extra hard to make continued growth possible. Elite Bonus is just one of the many ways Associates at every level are rewarded for helping make the dream of true wealth a reality for people around the world. Because those receiving Elite Bonus can change every quarter, there are four opportunities a year to end up in the money. But making it to elite status isn’t easy. It takes a lot of hard work to make it into those top spots. And for five Associates, there will be a new opportunity to earn extra income. For more information on the changes, go to the Elite Bonus page. SALT LAKE CITY, Jan. 11, 2012 /PRNewswire/ -- USANA Health Sciences, Inc. (NYSE: USNA), a global nutritional supplements company, today announced that in the fourth quarter of 2011 they received 15 national and international awards, bringing the health company's total number of accolades won for the year to 45. 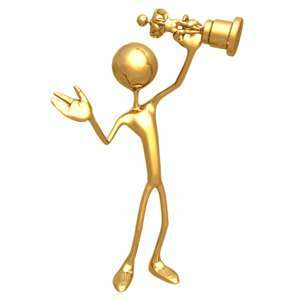 USANA has more than doubled the awards they've won since 2010 and quadrupled the amount of awards won in 2009. USANA's world-class products, strong executive leadership, strategic partnerships with Olympic athletes, and innovative sales and marketing tools have demonstrated they continue to be a leader in the industry. "USANA works hard to be the best, and it's important that our company, employees, and associates are recognized for their dedication and hard-work," said Dan Macuga, chief communications officer. "Being honored for our accomplishments is inspiring to our associates and employees, who are in turn motivated to do even more to drive sales, grow our markets and build a stronger company culture." In this competitive industry and current economic climate, many companies struggle to find longevity. This year, USANA is celebrating its 20th anniversary. "Each award given to USANA for outstanding work is valued and appreciated, but a handful of awards won this year stand out in particular," said Kevin Guest, president of North America. "To be recognized with such an array of reputable awards is a privilege, and we hope to beat our awards record in 2012." Outside Magazine Awards spotlights the 50 of the best places to work for in America from a wide range of non-profit and for-profit organizations. Utah Business Awards shines the spotlight on Utah's best companies and showcases their great leadership abilities. PR News Awards showcase companies with the best innovative and successful communications initiatives. Consumer Lab Awards identifies the best quality health and nutritional products through independent testing. The Best of State Awards recognizes outstanding individuals, organizations and businesses in Utah. The Telly Awards honors excellence in local, regional, cable TV commercials, non-broadcast video and TV programs. The Stevie Awards recognizes outstanding performances in the workplace worldwide, honoring companies of all types and sizes and the people behind them. Nutrisearch Gold Medal of Achievement Awards compares over 1,500 nutritional products in North America to an independent nutritional benchmark and test not only the nutrients included in a supplement. For more information about USANA's product and company, visit www.usana.com. About USANA: USANA Health Sciences develops and manufactures high-quality nutritionals, personal care, energy and weight management products that are sold directly to Preferred Customers and Associates throughout the United States, Canada, Australia, New Zealand, Hong Kong, Japan, Taiwan, South Korea, Singapore, Malaysia, the Philippines, Mexico, the Netherlands and the United Kingdom. Additionally, USANA's wholly-owned subsidiary, BabyCare, Ltd., operates a direct selling business in China. Learn more at our website (www.USANA.com), read our blog (www.whatsupUSANA.com), like us on Facebook (www.facebook.com/USANAhealthsciences), or follow us on Twitter (@USANAinc). Congratulations on completing the 5-Day RESET™ week! You’ve jumpstarted your healthy eating habits and are most likely feeling healthier and more motivated than ever. Be sure to keep that momentum going as you head into the Transform Phase, where you can really break it down. For the next 12 weeks replace two meals with Nutrimeal™ shakes, eat one Nutrition Bar for a snack, eat one low-glycemic meal, and an additional low-glycemic snack. Feel free to eat plenty of fresh fruits, vegetables, and low-fat proteins, but stay away from high-glycemic foods like pasta, bread, sugar, rice, and potatoes. 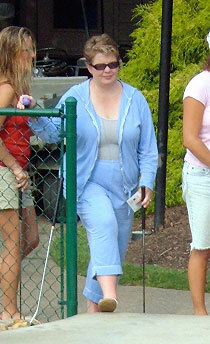 Right now it is critical that you begin a moderate, consistent exercise program. This will not only speed up weight loss, but will help build muscle mass, raise your metabolism, and reduce stress and depression, which can contribute to overeating. Try to squeeze in extra exercise whenever possible. Park at the far end of the parking lot, take the stairs, join a walking group, and schedule workouts. Use your USANA pedometer (Item #754) to keep track of your steps, and gradually work your way up to 10,000 steps a day. Once you have reached your weight-loss goal it’s time to move into the Maintain Phase, where you will establish a healthy regimen to maintain your ideal weight for life. In this phase you will replace one meal with a Nutrimeal shake, eat one Nutrition Bar for a snack, eat two healthy, low-glycemic meals, and one additional snack. This is more than just a quick-fix diet—it is a lifestyle change, and the results will speak for themselves. Once you’ve experienced the transforming power of RESET, you can’t help but share it with others. In fact, it could become one of the main building blocks of your business. Learn more about hosting your own RESET Challenge. *It is suggested that you take these products to your physician and secure his or her advice if you intend to change your diet, begin an exercise program, are pregnant, lactating, have allergies, are taking medications, or are under the care of a physician. The components of the USANA RESET 5-Day Kit are FOODS, not DRUGS. † Results not typical. The average weight loss with RESET is 4.5–5 lb. in five days. Associates around the world are banding together for a healthy cause—that’s right, RESET week is finally upon us. 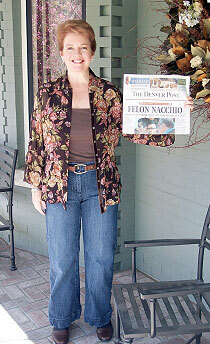 Now is the time to jumpstart healthy eating habits and finally reach your weight-loss goals. Right now you can probably feel the Nutrimeal™ and Nutrition Bars working their magic. The low-glycemic ingredients help control your carbohydrate cravings so you can make a clean break from unhealthy eating habits. If you haven’t started yet, it’s not too late to get on the path to healthy living. Join the team and start your RESET week now. To ensure success, be sure to use your support network. Visit the “Prospecting” tab for guidelines on how to host your own RESET challenge. The January edition of LifeMasters also offers an exclusive RESET audio track with tips and facts about the revolutionary weight-management program. You can also pick up some pointers, workouts, and recipes from What’s Up, USANA?. After you have completed the Jumpstart Phase (RESET week), continuing on with the Transform Phase is crucial for success. This is where you really kick it up and transform your body to achieve your ideal weight. And to help you gear up, USANA is offering a special from January 3–13, with over $70 of savings. Order your Transform Kit (Item #913) and stock up on your favorite USANA foods so you can keep up with the new you. Lose the cravings. Lose the weight. And get ready to fuel your fit! SALT LAKE CITY, Jan. 4, 2012 /PRNewswire/ -- USANA Health Sciences, Inc. (NYSE: USNA), a global nutritional supplements company, today announced Olympic Pro Snowboarder Lindsey Jacobellis and Alpine Skier Nolan Kasper as its newest brand ambassadors. Both athletes are members of the U.S. Ski and Snowboard Association (USSA), who USANA announced a partnership with last August. Arguably the most dominant snowboardcross rider in the business, Jacobellis secured the title of winningest female in Winter X Games history after securing her fourth consecutive gold medal during the 2011 trial. She also holds three World Cup wins, a silver medal from the 2006 Olympic Winter Games, and most recently, the Telluride FIS Snowboard World Cup title to become the only American to take first in the tournament. "My demanding training schedule really taxes my body, so I'm excited to be partnering with a nutritional company I can trust to safely and effectively replenish my strength and health," said Jacobellis. "USANA understands that every person has different health needs so they've really focused on providing personalized nutrition. I love that I can choose which vitamins and nutritional products will help me perform at my personal best." During the 2011 season, Kasper won the Europa Cup slalom title to take his first World Cup podium, and finished the season 17th in slalom after beginning the winter with a ranking of 56th. "USANA makes products that work and fit every lifestyle which is extremely important for an athlete like myself," said Kasper. "I'm grateful USANA has chosen to partner with the USSA. I wouldn't trust my health to any other company and look forward to working with them." As USANA brand ambassadors, Jacobellis and Kasper will represent the company publicly and help to educate consumers about the value and importance of using supplements that are safe, effective and manufactured to the highest quality. 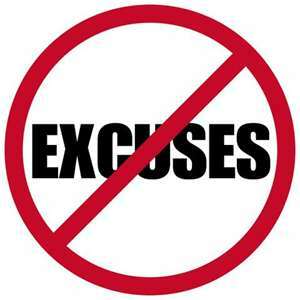 Please call on us any time we can be of assistance or support in your USANA business.